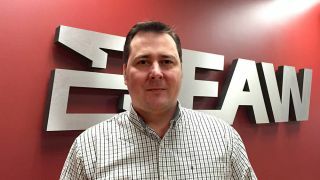 Eastern Acoustic Works (EAW) has added Paul Lamarre to its growing sales team. Lamarre is tasked with managing sales and support for future and existing customers in the Southern U.S. Prior to joining EAW, Lamarre was regional sales manager for EDA Pro AV, based in Duluth, GA and served as general manager of Sam Ash Music in the greater Nashville area. Lamarre also served the U.S. Army for nine years prior to beginning his career in professional audio.